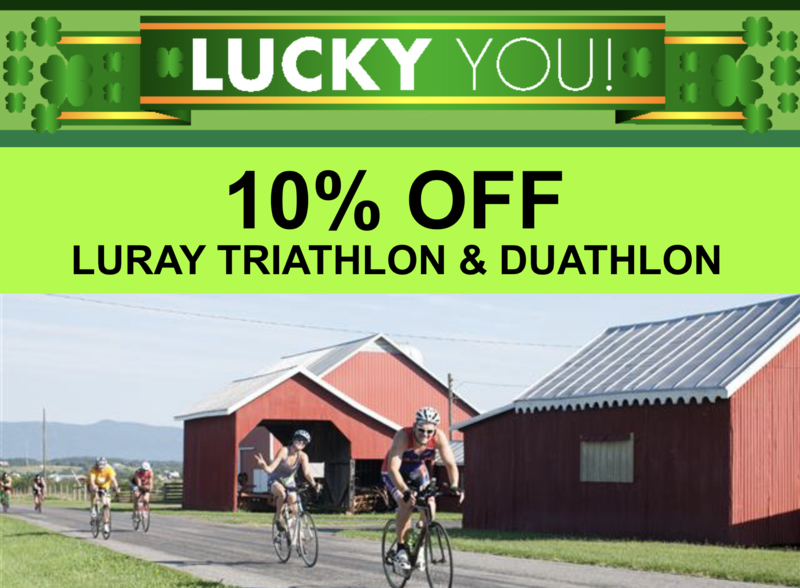 The discount code is good for 10% off registration for Luray Triathlon and Luray Duathlon. Code expires at midnight on March 20th. For details on our 2019 races click here.